Avenue One is an urban development condo complex located in the Airport Area of Irvine. There are a total of 408 condos built here in 2006 by the K. Hovnanian Home Builders. The location is just south of 405 Freeway off Jamboree Road and Scholarship Avenue and is the second most affordable urban condo building in Irvine along with it's adjacent sister complex located next door known as the Watermarke building. The Avenue One building consists of four stories offering fourteen different floor plans starting from 600 to 1600 square feet with one, two and three bedroom units. Avenue One offers great amenities that include three community pools, gym, tennis courts, sports courts, enclosed volleyball court, conference room, beautiful lobby, billiard room, club room, catering kitchen, bar and lounge. The location is conveniently accessible to the 405 freeway and walking distance to shops, restaurants, gyms, groceries store and other retail stores. These are great investment properties for all types of investors with high demand for local renters such as University of California Irvine college students and young professionals working and playing locally in Irvine and Newport. 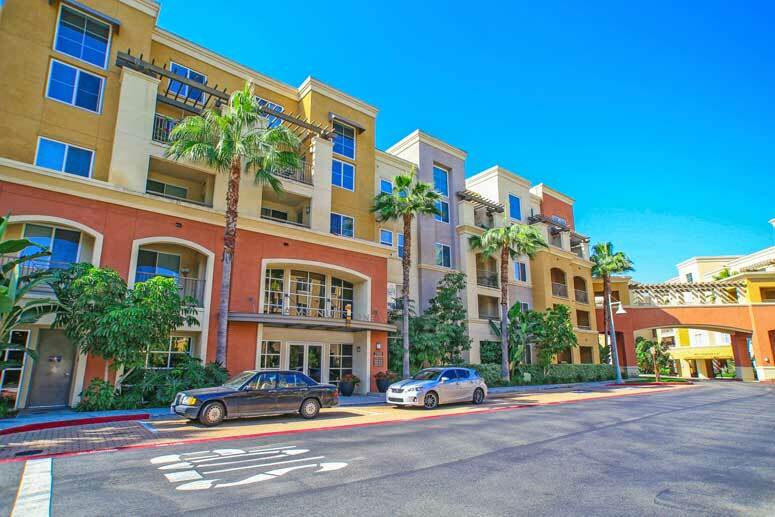 The Avenue One Condo Association is managed by Merit Property management located at 1 Polaris Way, Suite 100 Aliso Viejo CA 92656 and can be reached at 949-448-6000. All the schools are located within the Santa Ana Unified School District and include Monroe Elementary School, McFaden Middle School and Century High School. Floor Plan One - 1 bedroom, 1 bath, 602 Square Feet with one car space. Residence Two - 1 bedroom, 1 bath, 846 Square Feet with one car space. Residence Three - 1 bedroom, 1 bath, 923 Square Feet with one car space. Residence Four - 2 bedroom, 2 bath, 1,213 Square Feet with two car spaces. Residence Five - 3 bedroom, 2 bath, 1,525 Square Feet with two car spaces.